If even an angel preaches a gospel contrary to God's word, he is under a curse. There is not a Christian in the world that does not need to seriously consider Paul's words to the Galatians. The gospel is the church's most precious gift to cherish, protect, and pass on. We must never stop checking what we believe and preach. And then ask the question: Is this the gospel? Is this the gospel that God has revealed to us in the Bible? 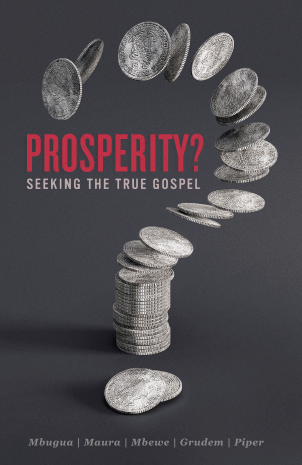 There is a false gospel—the prosperity gospel—sweeping across continents. There are many churches preaching this false gospel. It is a dangerous lie wrapped in a covering of religion. Those affected by it are being led away from God's good news to a man-centred deception. Paul took nothing more seriously than the danger of a different gospel and we feel the same way. Nothing is more serious; our souls depend on it. Published by a partnership of TGC International Outreach and ACTS Kenya.